This year, Mother’s Day in the United States falls on May 13th. Always the second Sunday in May, Mother’s Day is a special day set aside to honor mothers, motherhood, and maternal bonds in general, as well as the positive contributions mothers make to society. 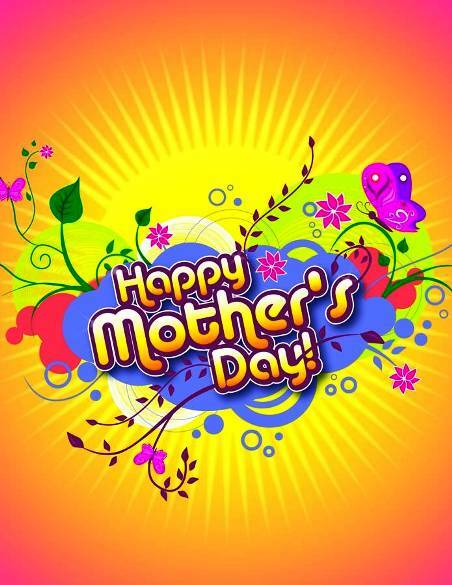 The history of Mother’s Day is long and vast; with several people given credit for having a part in the holiday’s development. Attempts to have an official Mother’s Day on the books were first mostly lead by women’s peace groups. These groups often met with the mothers of men who had fought or died on opposite sides of the American Civil War. In the 1870s and 1880s there were several observances, but nothing larger than the local level. In 1868 a woman by the name of Ann Jarvis created a committee to establish a “Mother’s Friendship Day” with the purpose to “reunite families that had been divided during the Civil War”; an expansion on the idea of the local women’s peace groups. Ann Jarvis died in 1905 before her dreams could be realized. After Ann’s death, her daughter Anna Jarvis continued her mother’s efforts. On June 2, 1872, Julia Ward Howe led a “Mother’s Day” anti-war observance in New York City, accompanied by a Mother’s Day Proclamation. The event continued in Boston for about 10 years, but died out when Howe’s personal sponsorship ended. Five years later, on May 13, 1877, a Mother’s Day event was held in Albion, Michigan. But this event did not involve mothers of Civil War soldiers – this one was related to the temperance movement. Mother’s Day, in its present form, was created by Anna Marie Jarvis, the daughter of Ann Jarvis (mentioned above), with the assistance of Philadelphia merchant John Wanamaker, after the May 9, 1905 death of the elder Jarvis. Although on May 12, 1907 a small service was held in the Andrew’s Methodist Episcopal Church in Grafton, West Virginia, where Anna’s mother had taught Sunday school, the first “official” service was on May 10, 1908 in the same church, accompanied by a larger ceremony in the Wanamaker Auditorium in the Wanamaker’s store on Philadelphia. The following year the day was reportedly celebrated throughout New York. Around the same time, Anna Marie Jarvis launched a campaign to establish Mother’s Day first as an U.S. national holiday, and then as an international holiday. In 1910, the Mother’s Day was declared a holiday by West Virginia first, with the rest of the states quickly following suite. Four years later, on May 8, 1914, the U.S. Congress passed a law designating the Mother’s Day to be the second Sunday in Many. The next day, President Woodrow Wilson issued a proclamation declaring the first national Mother’s Day; the day was to be a time for American citizens to fly their flags in honor of the mothers who had lost their sons to war. On the 20th anniversary or the holiday, in 1934, President Franklin D. Roosevelt approved a commemorative stamp for the holiday. The Methodist Episcopal Church in Grafton, West Virginia, where the first Mother’s Day celebration was held in 1907, is now the International Mother’s Day Shrine, and a National Historic Landmark. Happy Mother’s Day!! How are you planning to celebrate and honor the mothers in your life? This entry was posted on Thursday, May 3rd, 2012 at 7:55 PM	and is filed under Misc.. Both comments and pings are currently closed.